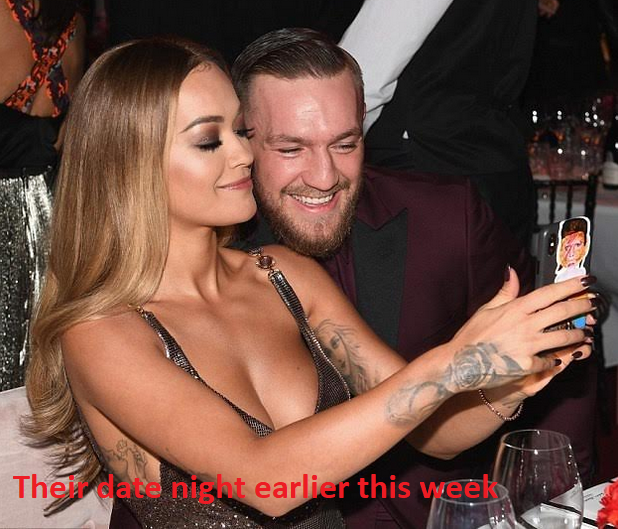 Lol... Conor McGregor,29, was branded 'disrespectful' after cosying up to Rita Ora in a slew of snaps captioned 'date night' earlier this week - despite his girlfriend of NINE YEARS. 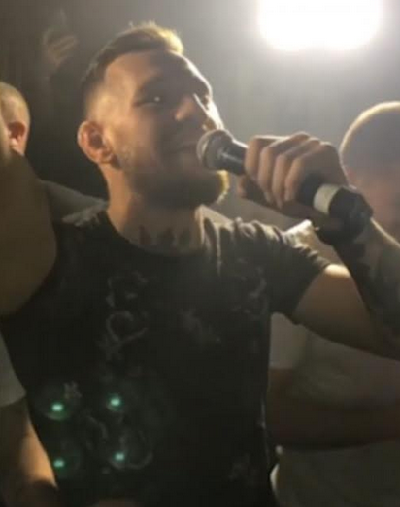 But Conor McGregor has proven he wasn't affected by the backlash as he gave a bold shout out to the singer, 27, during a raucous night out at London's Cirque Le Soir nightclub yesterday. The boxer, who has a son with his long-term partner, was filmed grabbing the microphone and yelling 'shout out to Rita Ora!' to cheers from the crowd as he partied at the packed nightspot. The video showed the boxer dancing in the hotspot with the mic in his hand as he made his very public tribute to Rita. Standing behind the DJ decks, he then flashed a cheeky grin and tapped his heart as the revellers whooped around him. Very rude guy, not caring about hos partner.... Smh!